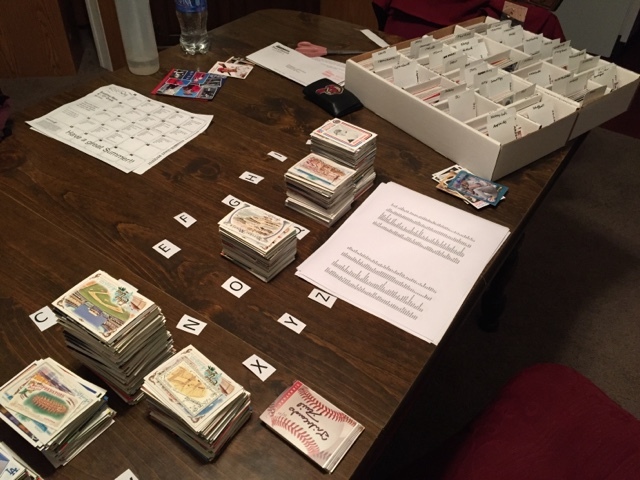 I thought it would be fun to give you a peek into the process I use for sorting the cards. 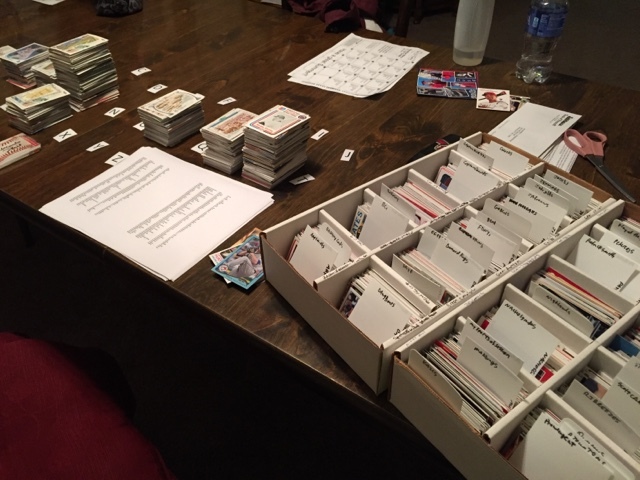 Players are sorted alphabetically by last name (non-players make this a not-so-perfect endeavor), then I use the player/manager sheets from the daily breaks to put the cards in the right manager slots. I started off with one sorting box, but as you can see, I had to graduate to two. And, these are just the 2014 cards! My tribe cards go right into a binder as received. I currently have 1 3/4 binders.